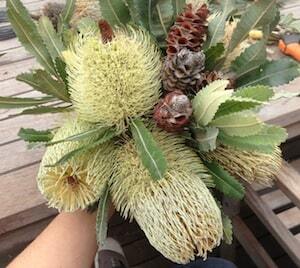 The banksias are coming into flower. 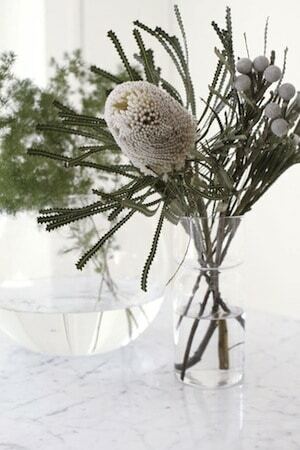 soon I will grab myself a huge bouquet to enjoy indoors. If you are not lucky enough to have your own supply here are some for you to enjoy. 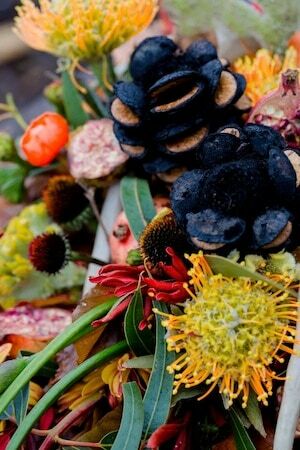 I am assuming a blow torch was what has given the wonderful black char to these banksia pods. Just keep them away from the dress. 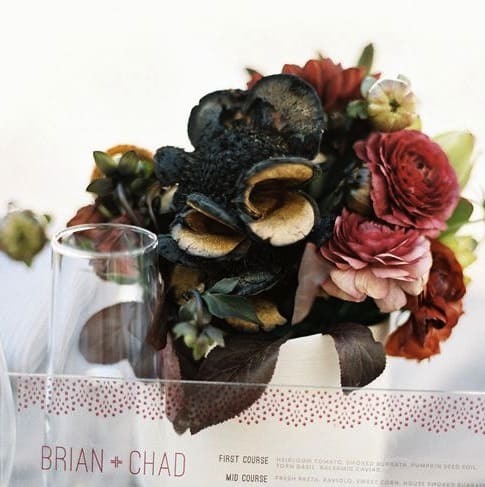 Lush bouquets mixed with softer foliage and smaller flowers. 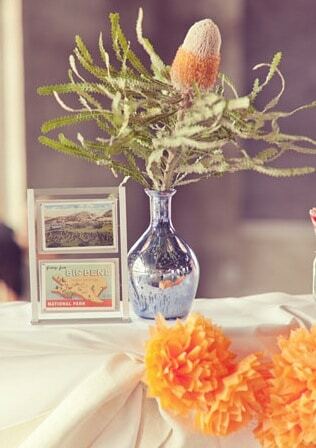 Most native flowers will last well when cut so arrangements like these can be made days before an event. 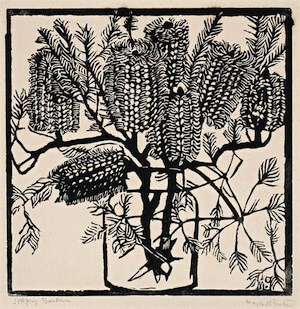 I included this lovely print by Australian artist Margaret Preston. The graphic lines on this wood block print are the perfect inspiration for invites. Printing paper with that soft natural colour is available from any good art shop. 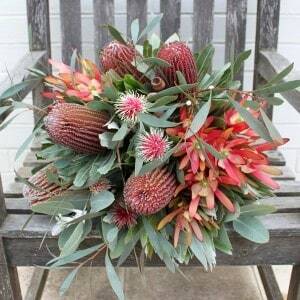 Single stems with their leaves are an easy choice as they last well and can be arranged by anyone. 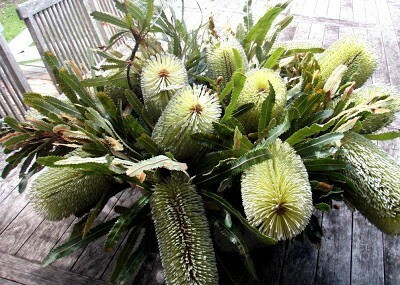 I had some fun playing with banksias from my mum’s garden. 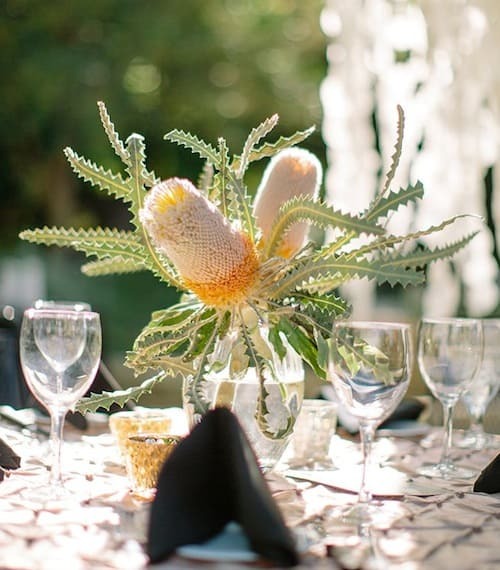 This entry was posted in Beach wedding, Blog, Flowers, Ideas for brides, Make, table setting, theme ideas. Bookmark the permalink.